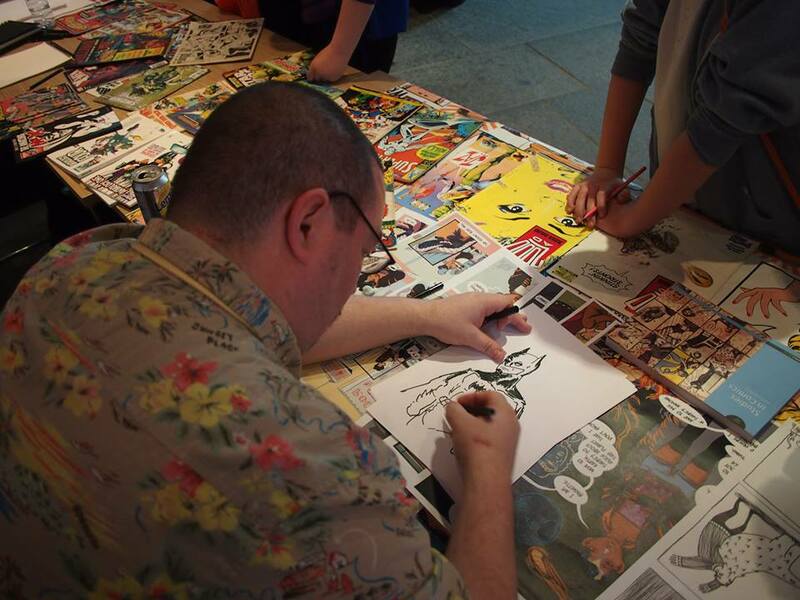 Engage Dundee: comics for kids! 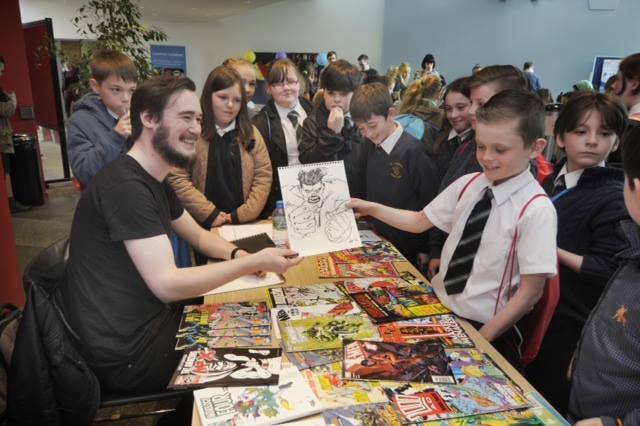 As part of its commitment to public engagement the College of Arts and Social Sciences at the University of Dundee organises several events each year to bring the public into the campus, or to host events in the community. This often takes the form of workshops with schoolchildren. SCCS participates in many of these events. 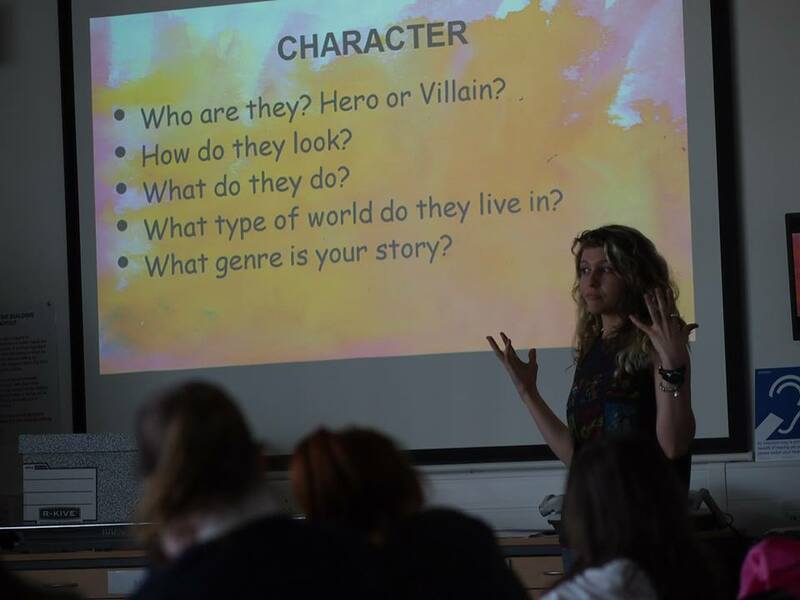 This year we held character creation workshops with children from three different local schools, showing them how comics can take all kinds of forms, and how they can create characters to make their own stories! 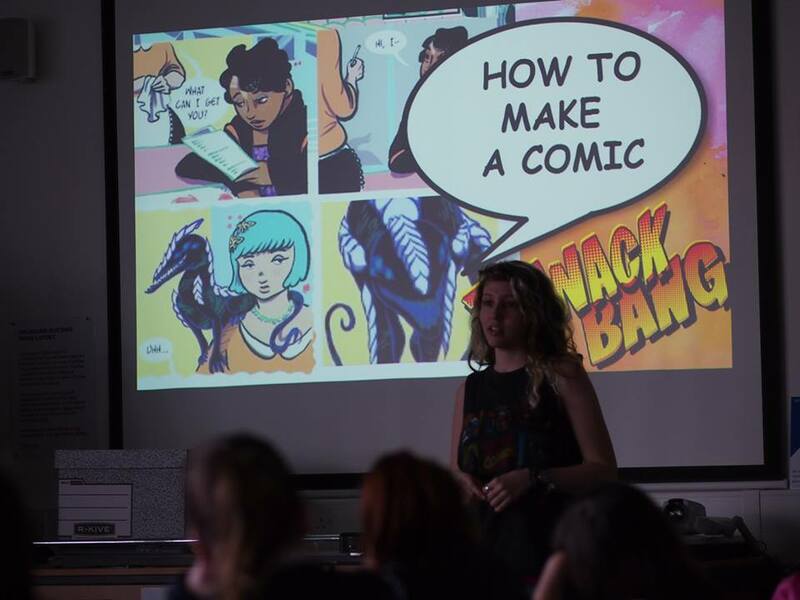 The workshops featured talks from Damon Herd and Erin Keepers and a practical session drawing their own characters. Many lucky children were also able to have drawings made for them by Chris Murray and Norrie Millar, making for a fun, art-filled day for everyone involved.